Dr. Tejinder Singh, a dynamic personality with uncanny foresight, great leadership ability and vision, is a thorough professional with 23+ years of experience and armed with a global outlook. PG in Commerce & Economics from Delhi University, he holds an MBA in international Business & is a Six Sigma – black belt, besides being a PhD in Business Management& Finance. He is also educated on Software systems (PGDCA) & IT Network systems (MCP, MCP+I, MCSE & MCSE+I). 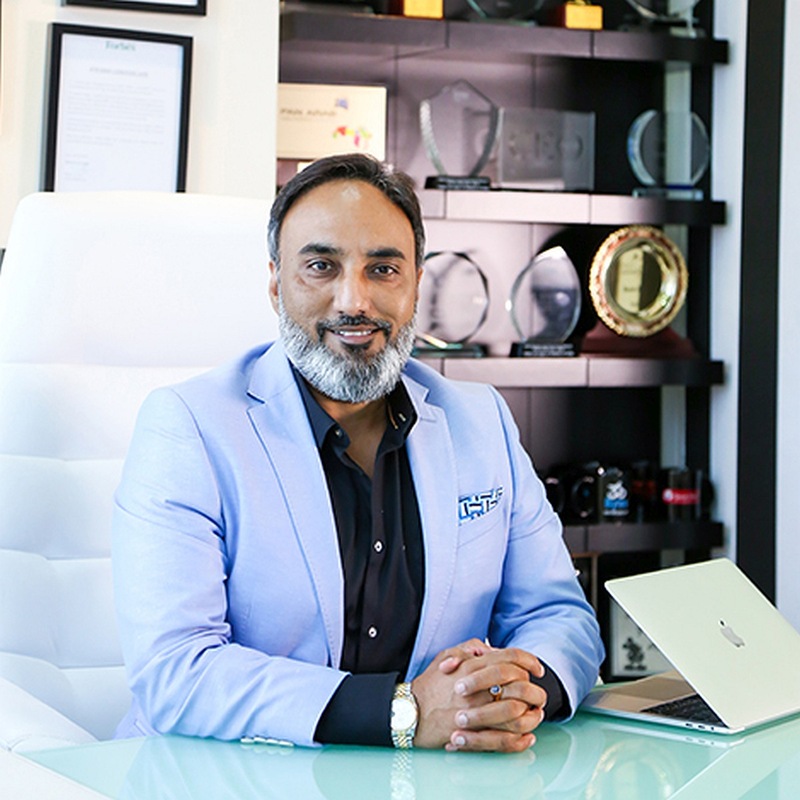 He has been responsible for the inception & transformation of new ventures in Ecommerce, IT, ITES, Back-office, voice and non-voice BPO and many other projects. He has marshaled a defining growth path for many assignments in India and overseas. He was recently featured & listed by Forbes Middle East. For me entrepreneurship is all about creativity, fun, doing what I love, solving customer problems, conducting projects, Innovating new processes, Consulting, developing profitable business units, cash flows, profitability, attain goals, and long term view of building a self-sustaining organization. All you need is patience, creativity, focus & passion on solving one core problem at a time and being consistent with it. Specialist in Inception & turnaround of ventures. Ecommerce, Social media, BPO, Outsourcing, E-BPO, Healthcare, B2C services, B2B services, E-government, call-centers. Have been responsible for the inception & turnaround of many ventures in Back-office, Voice, Non-voice, E-BPO, Crowd sourcing, IT, ITES, B2C, ticketing, ecommerce and many other projects. To my credit is the Inception & creation of 1st largest domestic BPO of India named “Sparsh BPO Services” in 2003-2005, creating an employment opportunity for 10,000+ people. Prior to Sparsh, I founded 2 different BPO setups, both in North of India, for a US based healthcare industry. Conceived BPO+ immediately post “Sparsh” in 2006, well known, which has bagged Qatar Enterprise Agility Award, Business excellence Award, Market Pioneers & largest 3rd-party BPO OSPs at numerous occasions and platforms in Dubai, Turkey & Milan (Italy). Today, BPO+ has grown from a small operation service of 45 employees in FY 2006 to the most reckoned BPO service provider with 1000+ employees in Qatar & Oman region. Also founded, Q-tickets, Qatar’s first ever-online ticket aggregator platform. It services entertainment, Cinema, Events, Sports, Dining, and Qatar Tourism (QTA) – a government exclusive arm. Q-Tickets is also awarded with Certificate of Excellence as most promising start-up by Pan Arab Awards in 2014. Founded – Qatarday.com, Qatar’s Award winning Social Media & Crowd sourcing platform. Qatar Day has won Gold Award in Best Crowd Sourcing Category Pan Middle East, in 2012 & 2014. It is the 3rd most visited website in state of Qatar and has more than 300 Million page views per annum with more than 15 Million unique visitors. I am looking at exploring the potential in Social Media, Ecommerce, healthcare, Education, payment & collections management and Internet of things (IOT).